I felt compelled to cook from”A Taste of Venice” after referencing fictional Italian detectives in a previous post. Food plays such an important role in Italian life, so it seems natural that it should also feature in Italian popular literature. Commissario Guido Brunetti, Donna Leon’s Venetian based crime fighter is married to a superb cook. The meals served by Paola play an important part in the story line and have added to the popularity of Leon’s work to the extent that a couple of years ago she coauthored a book featuring recipes for Brunetti’s Venetian classics. 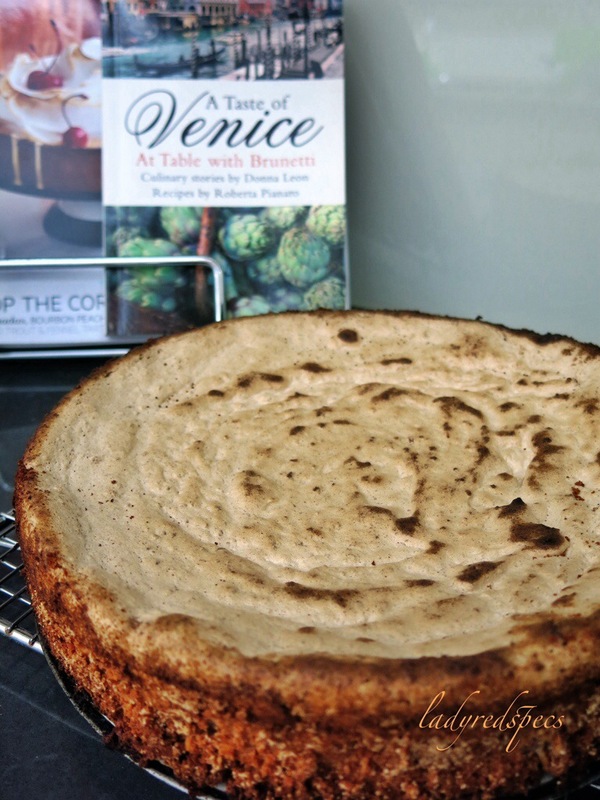 I gave my husband “a Taste of Venice” hoping it might pique a latent interest in cooking, but really, I was delusional, it’s me who cooks from this book! 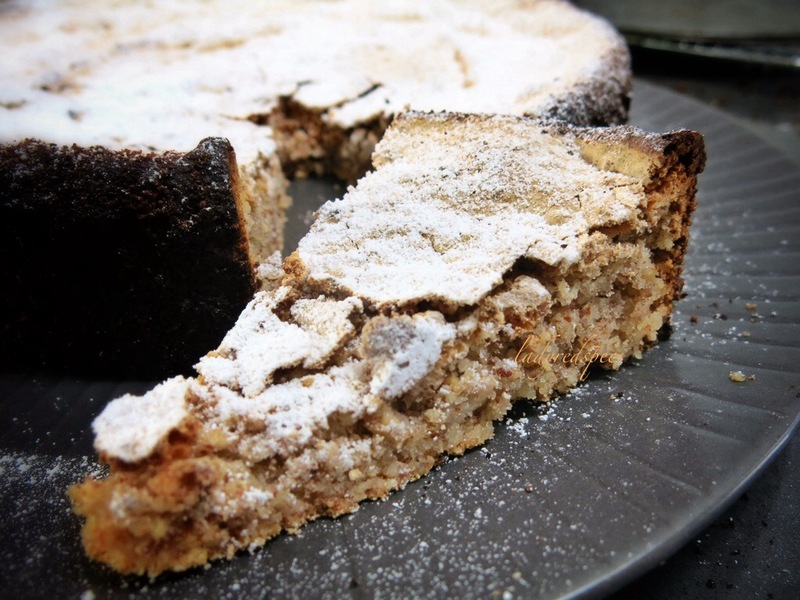 This almond cake is simple to make, moist, and absolutely delicious. It’s best made the day before to give the crisp surface a chance to soften so it cuts without cracking, but we were too impatient this time! Surprisingly, given the ingredients, it’s neither meringue nor macaroon, but very definitely cake! Another triumph for the gluten free list too. Pre heat the oven to 180C. Butter a 25cm springform cake tin, line the base with baking paper then coat the sides with fine dry breadcrumbs. Whisk egg whites until stiff, then slowly beat in the sugar one tablespoon at a time. Fold in the almonds. Tip the cake mixture into the tin and smooth the surface with a spatula . Bake for 45 minutes. Remove the sides of the tin and allow to cool on a wire rack. I swear I remember leaving a comment on this post because you talk about Donna Leon and I mentioned how I read her books too! This is weird! As I’m catching up, I remember liking your posts and leaving comments, but nothing’s there! I’m not sure if it’s WP or a setting on one or other of our computers. I rather suspect it’s nothing you’ve done because as I said yesterday there have been others in the past week who’ve told me they’ve stopped getting my posts also, but then I have lost some as well, so let’s just blame WP! I had noticed a significant decline in activity on my blog……. I so enjoy almond flavoring in baked goods and am sure I would love this cake. Considering my (lack of) prowess when baking, this one may actually be something I can attempt with a good chance for success. Yay! Thanks for sharing. Thanks, it really is a very good cake! ohh looks delicious. great picture. Donna Leon is my favourite author. I also have that cookbook but have never tried anything from it. Perhaps I should! The recipes are clear and straightforward, and while there’s nothing ground breaking about them, they good Italian food. 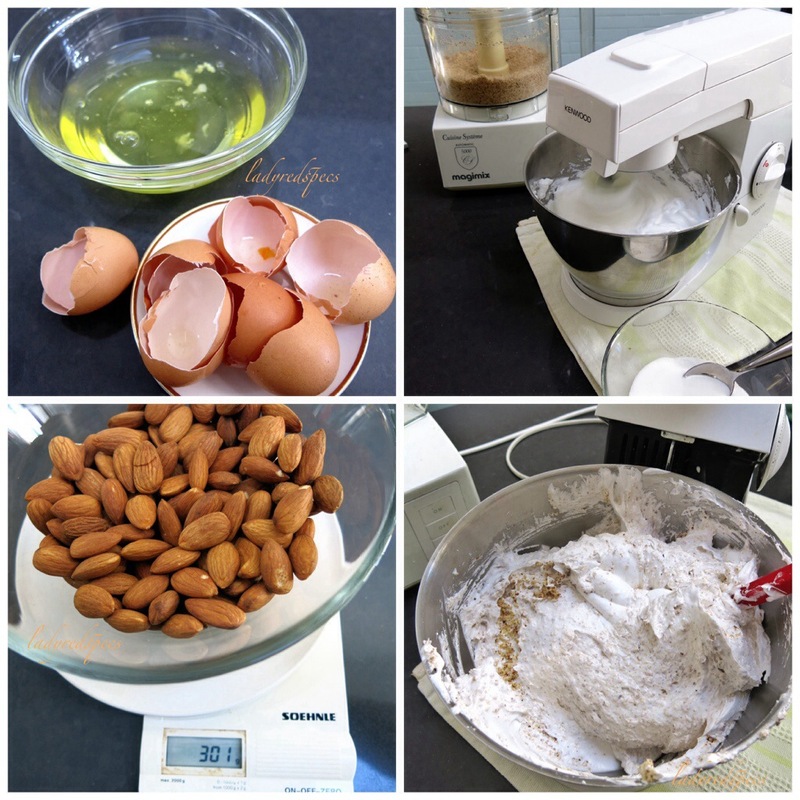 This entry was posted on December 21, 2013 by ladyredspecs in Baking, Cakes, Desserts, FODMAP diet, Food, Gluten Free, Gluten free baking and tagged almonds, Baking, cake, gluten free.